It’s autumn! That means cooler temps, colors, and soup! I’ll admit I had to turn the air conditioner down to achieve the right temperature, but that’s ok! This soup is one of my family’s favorites. I don’t have to worry if “______” will like it, because there are seldom leftovers…it’s that GOOD! To a large stockpot, add the bacon and saute until almost crisp. When the bacon is cooked, remove with a slotted spoon, leaving the bacon fat in the pan. 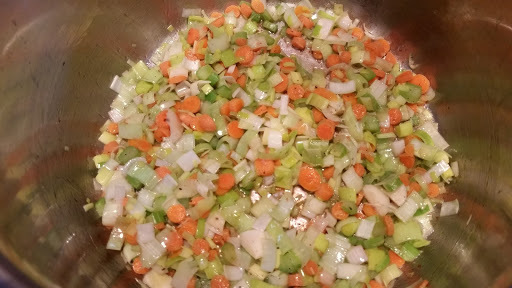 Add the leeks, carrots, and celery to the pan and saute’ until the veggies are translucent and tender. Add the potatoes, tossing until well coated with the fat and veggies; cook about 5 minutes. Add the chicken stock and simmer until the potatoes are tender – about 17 minutes. With a potato masher or slotted spoon, mash about half of the potatoes. This will thicken the soup. Add the half and half (heavy cream would be great here!) and let simmer for a couple of minutes before adding the cheese. Stir until the cheese is melted. 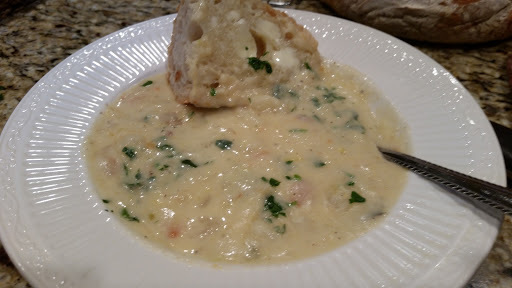 Ladle into bowls, sprinkles with parsley, and serve with a crusty bread.